Today, progressive resistance exercise products are used for rehabbing muscle and joint injuries, work hardening programs, and aerobic and aquatic exercise programs. REP Band® Products can play an integral part in these programs to strengthen muscles and increase endurance. 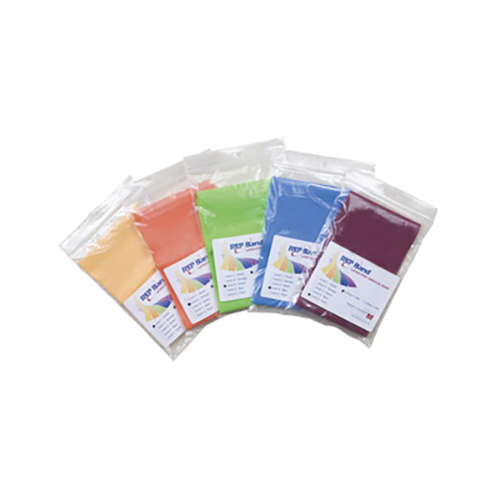 What differentiates REP Band® Resistive Exercise Products from other resistive exercise products is that it they are made of non-latex material and are powder and odor-free. A quality resistive exercise product that will not trigger latex allergies or leave a dusty powder on your clothes after exercising. These pre-cut Rep-Bands are 4 inches wide and 5 feet long. Often used around the base of school chairs. Perfect for younger clients, the FitBALL® Wedge Jr. requires active participation from the client to assume correct sitting posture. As a wedge, it places the client's pelvis in an anterior tilt to prevent slouching and correctly align the spine. 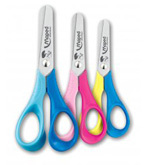 A product for young left-handers, these scissors are specially designed with their unique needs in mind!